welcome back to minitokyo ^^ I love your first job after so long, and the theme.... Just love all related to Naruto......except the fillers :P Keep em' comming! >.< So...see ya round mt. 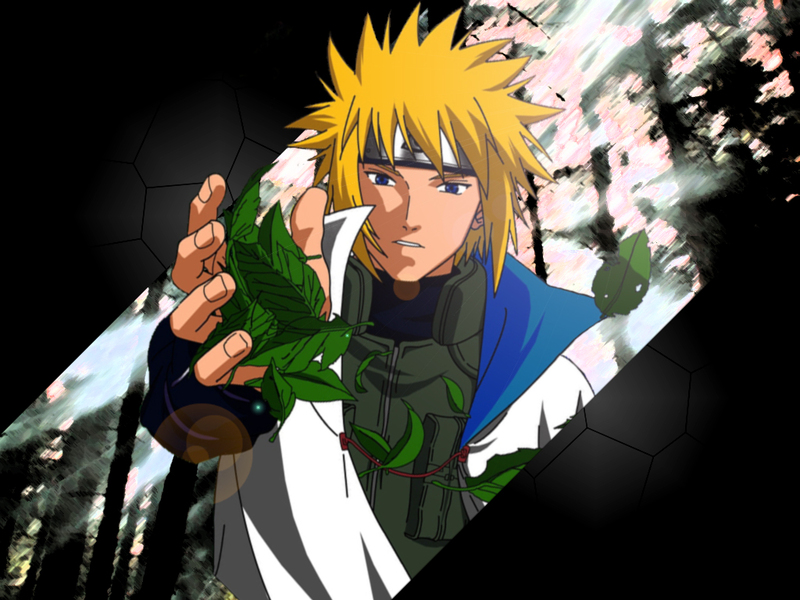 Yondaime looks so cool and I love the leaf background and effects you have given him. Very suitable. Perhaps the slight pink in the background could be replace with light blue, it would fit nicer in the wall and bring out a slight sky effect to complement the green effect. oh man Yondaime just looks so cool so awesome. I really like him. (to bad that there are so little pictures from him). in this wallpaper he looks really nice. ooooooh the 4th .. I love it. Anything Yondaime rocks! Thanks so much for sharing & keep up the great work!